A view from inside the courtyard facing north. 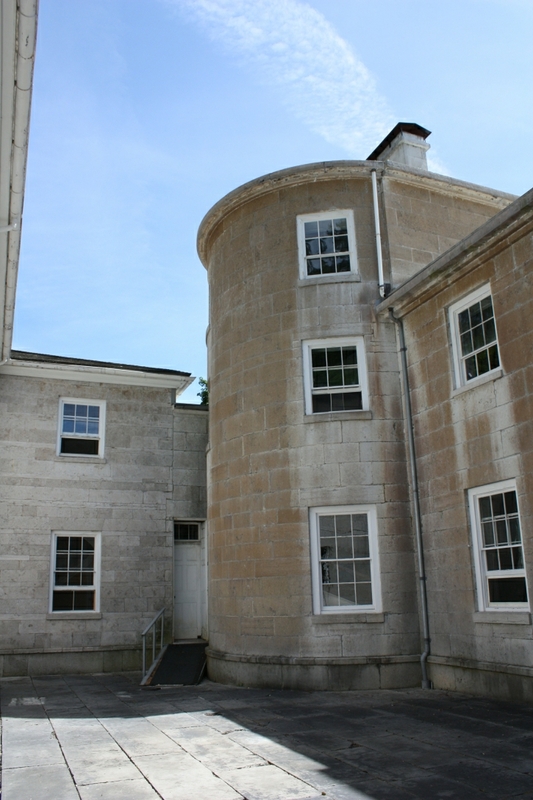 The projecting, semi-circular bay contains the main staircase to the second and third floors of the Great House. The courtyard allowed light and air to the interior rooms, separating the family areas from the guest and staff areas, and holds a cistern that was supplied with water from the roofs.